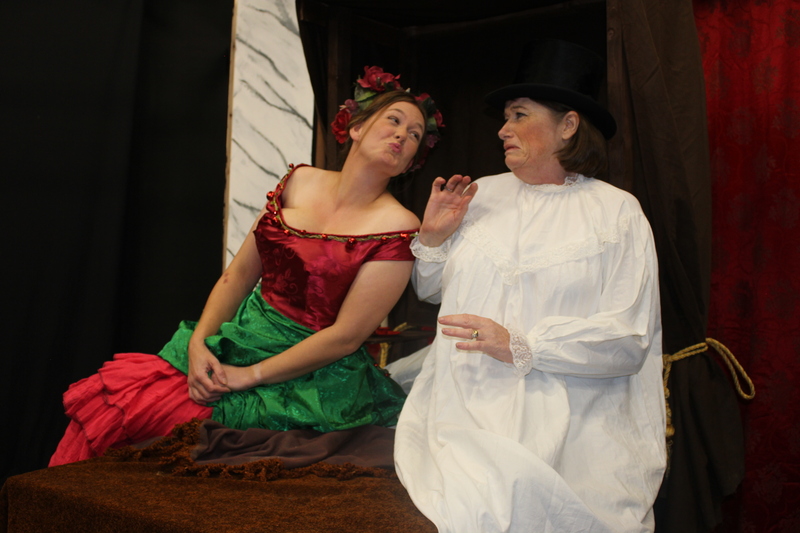 A Christmas Carol – Next up! Members are currently hard at work rehearsing and preparing for 0ur November production, a new comic re-telling of A Christmas Carol, adapted by Patrick Barlow from Charles Dickens’ classic story of greed, grief, ghoulish ghosts and eleventh hour redemption. Barlow’s new thrilling adaptation, first performed in 2015 and starring Jim Broadbent as Scrooge, uses only six actors to bring some of Dickens’ most beloved characters to life. From Scrooge and Tiny Tim to Bob Cratchit and Fezziwig, Barlow’s A Christmas Carol uses nothing more than some simple props, fresh physicality, and the power of imagination to convey this timeless story of redemption. The play sticks closely to the ghosts of Christmas Past, Present and Yet to Come, but along the way Barlow fleshes out Scrooge’s back-story to create a clearer picture of how this cynical miser came to be so, well, miserly. He also draws on parallels to today’s City financiers and this results in a sleek and prosperous Ebenezer opening the show, rather than the grizzled, mitten-wearing shuffler we might expect. Barlow also injects a lot of humour into the piece. This comedy takes place because Barlow doesn’t keep strictly to the original text as he take liberties with language, the situation and, of course, the mood of the play. The action is set within a theatre, rather like a giant version of the cardboard theatres children are given, or used to be given, as toys. The props and scenery are wheeled on and off by the performers, and while the actors multi-task as far as humanly possible, puppets make up the shortfall. The play, sure to be a great night’s entertainment, will be performed in the Society’s Studio 132, 132 East High Street (next to the Red Cross Shop) on Wednesday 21st to Friday 23rd November at 7:30pm with a further matinee performance at 2:30pm on Saturday 24th November. Tickets are £12 for Adults; £10 for Concessions or £35 for families of four and are available online at www.ticketsource.co.uk/forfardramatic or in person from Toppers, 150 East High Street. With no pantomime to be performed in Forfar this year, why not make a date with Forfar Dramatic Society for your pre-Christmas theatrical treat.